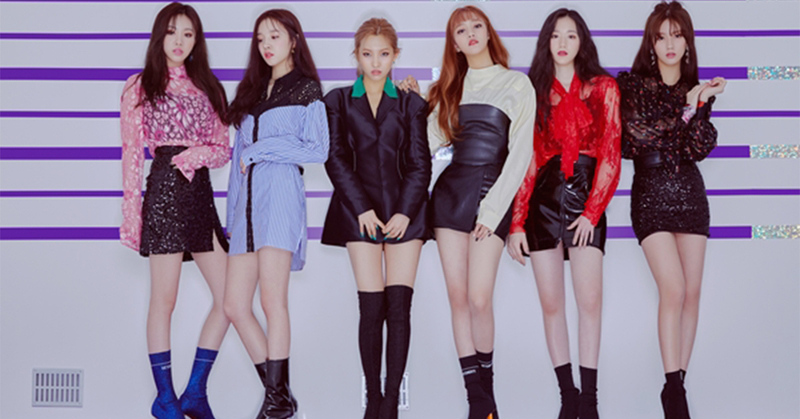 Cube Entertainment on May 2 has debuted a girl group (G)I-DLE consisting of 6 members. Their debut song LATATA was ranked #1 on iTunes K-Pop chart in 11 countries in U.S., France, Australia, Belgium, Canada, Germany, Indonesia, Turkey, and Singapore. Just in two days, LATATA music video has reached 2.2 million hits and exceeded 5.9 million hits on May 9. (G)I-DLE released their first mini album I am on May 2 and came into the spotlight. They are called the "monstrous rookie". Including Soyeon who previously was introduced as one of the female trainees in Produce 101 Season 1, and appeared on Unpretty Rapster, Miyeon, former debut member of BLACKPINK, Soojin, Thai member Minnie, Chinese member Yuqi, and Taiwanese member Shuhua consist the group.